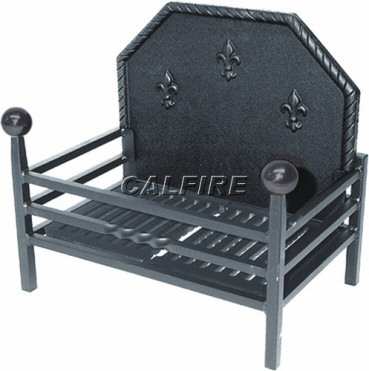 The Popular fire basket with Black Balls consists of a fire basket and removable back as 2 separate items. The back sides into the the rear end of the fire basket. The fire basket is made in Britian whereas the back is made in China. PLEASE CHOOSE WHICH BACK YOU MAY PREFER.